Welcome to Nazareth House Manchester, based in Prestwich. We are dedicated to improving the lives of our residents, providing care of the highest standard and investing in relationships. Overseen by the Sisters of Nazareth, this house welcomes all seniors of all religious and non-religious backgrounds. 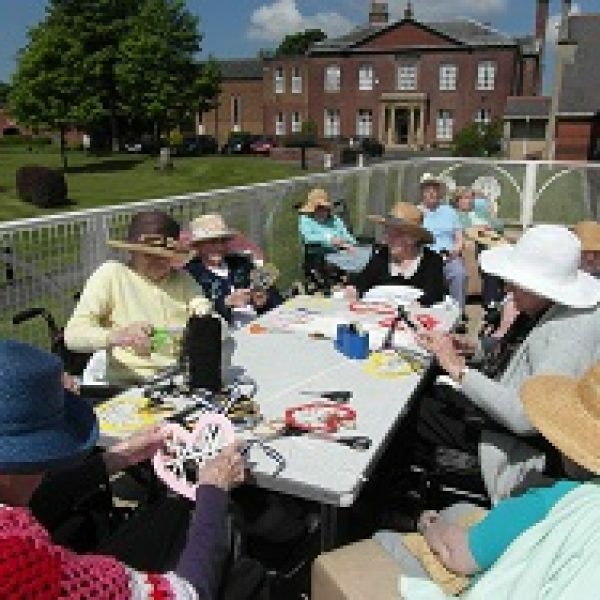 Set in spacious grounds that are surrounded by beautifully landscaped gardens, Nazareth House Manchester is specifically designed to provide the highest standard of accommodation and care. As a team we aim to provide progressive health care services in relation to the special needs of older, frail and disabled people. 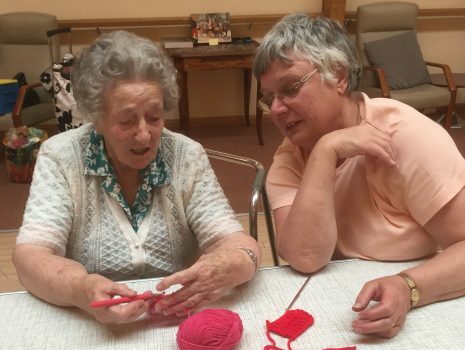 We ensure that all aspects of our resident’s care, including provision for their spiritual, emotional, social, physical and recreational needs are adequately met. Our staff have completed the ‘six steps end of life care programme’ offering continuing care for those most in need. 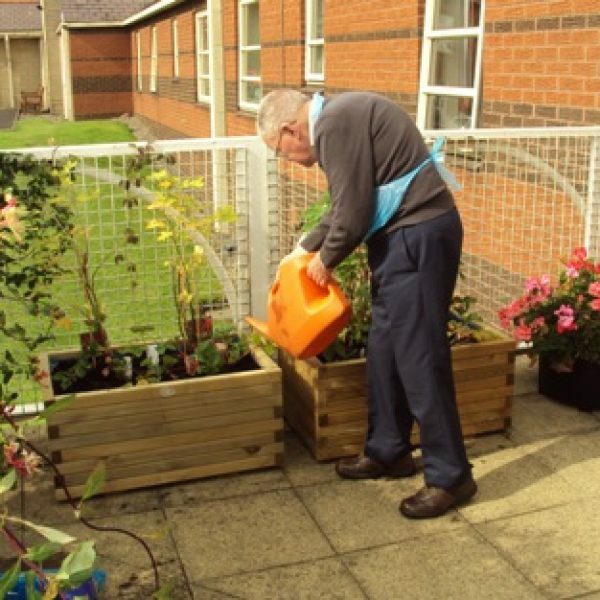 The Core values of Nazareth Care – love, compassion, justice, hospitality and patience are a key part of our ongoing training for staff are central to the ethos of Nazareth House Manchester. It’s never too late to learn new skills! 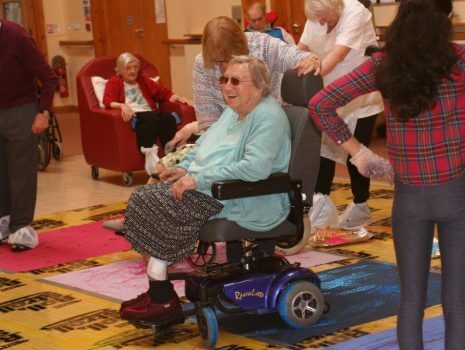 Residents at Nazareth House Manchester enjoyed the afternoon painting with wheelchairs!